ART CLASH WEEK 13: 3 OR MORE OVERWATCH CHARACTERS!!! › Forums › THE ART CLASH 2.0 › ART CLASH WEEK 13: 3 OR MORE OVERWATCH CHARACTERS!!! Whose Overwatch illustration is the king of the hill? This topic contains 14 replies, has 4 voices, and was last updated by Brett Barkley 2 weeks, 5 days ago. Choose any three (3) Overwatch characters and illustrate them in battle. CONCEPT: To the best of your ability, try to focus on placing your characters in a scene you’ve created. This means you’ll need to focus on backgrounds that make sense for the characters and game. Use the reference at the link below for a great idea of the characters and appropriate backgrounds. I’m going to chose the characters with the most colors and put them in an after-battle scene! Ugh. I don’t have ANY idea what I’m doing. I think I’ll just choose the coolest-looking characters and go from there. Maybe I’ll get a chance to start tonight…ish…maybe. Genji, Tracer and D.VA. Victory! And by FAR the best piece I’ve ever done in these 13 years on this planet! Overwatch characters…can’t recall the names. I’m tired. Ugh. Aaaaand it looks like the Barkley boys have tied. Ha Ha. Any suggestions for what’s next? 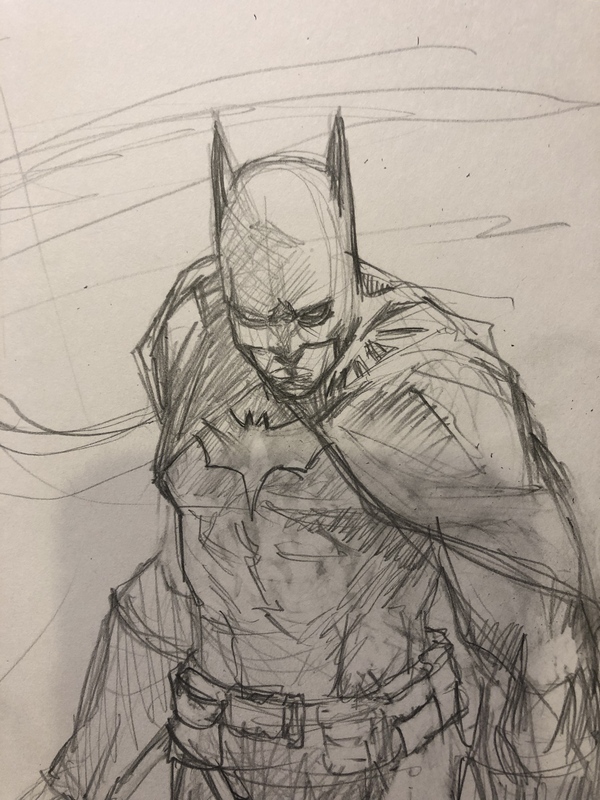 I’m thinking something for Batman’s 80th birthday (though we’re a little late)…or something else timely, like maybe Hellboy. I’m definitely up for suggestions, though. You won. I’m fine with Batman.